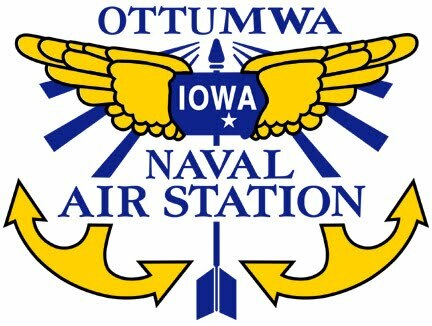 Welcome to "Friends of NAS Ottumwa"
FRIENDS OF NAS OTTUMWA is a non-profit organization whose mission is to develop a Naval Aviation & Space Museum in the original Administration Building at the former Naval Air Station (NAS) Ottumwa, Iowa. Following the tragic attack on Pearl Harbor on December 7, 1941, the United States Navy scrambled to drastically increase their inventory of combat ready airplanes and pilots. As part of that effort the U.S. Navy commissioned the construction of several air training bases in amongst the farm fields of the Midwest. Naval Air Station (NAS) Ottumwa was one of them. It's mission was to provide Primary Training of future Naval Aviators. In addition to the main base, the Navy also built and operated numerous practice fields in the Ottumwa area to provide additional space for the cadets and instructors to log their long hours of practice time. Our vision is to create a museum that will preserve the rich history of NAS Ottumwa and honor the hard work and sacrifices of the patriots who were stationed there. Our museum will serve to educate future generations about the important contributions made at NAS Ottumwa in training the finest Naval Aviators in the world. From March 1943 to the end of the war, NAS Ottumwa graduated 4,626 new Navy pilots. However, this story isn't only about the pilots. Those intrepid pilots were propelled into the air by the dedication of thousands of military and civilian personnel working behind the scenes at NAS Ottumwa. Their work was also critical to winning ultimate victory in World War II. AND THE STORY DOESN’T STOP THERE! Following World War II, many NAS Ottumwa trained Naval Aviators went on to distinguished military careers and service in the Korean and Vietnam conflicts. Also in the pioneering years of the U.S. space program. We intend to recognize that service as well. "Friends of NAS Ottumwa Corp." is a non-profit IRS 501(c)(3) corporation.